Business cards are one of the favorite pieces of tattoo memorabilia to collect. Typically a card contains vital information about the business, including the tattooist's name, shop name, street address and telephone numbers. In today's virtual world we can add email websites, Facebook and Instagram accounts to the list. A shop counter can get pretty crowded when it has five or six tattooists working and each has their of own business card. Tattooists use their cards as marks of distinction and with the development of color printing; business cards are often works of art. In the past, tattooists have used catchy phrases or a byline on their business cards to catch the attention of potential customers. For instance, "Our Work is our Best Advertisement", "Known from Coast to Coast", "Velvet Tattooing", "Tattooing At It's Best" are but a few seen on old-time business cards. One of the more unusual bylines is "Call and See" which is often seen on old-school cards. Most of these cards are too old to be referring to "call" as to a telephone, I guess it simply meant to come by the shop and "see". 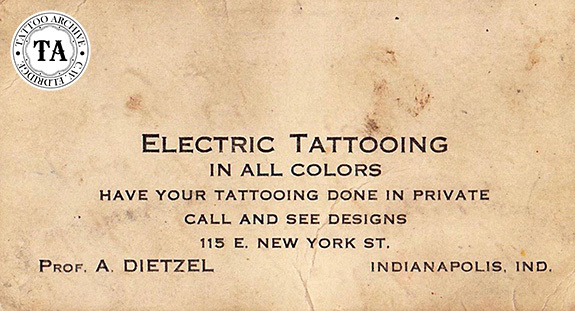 It must have been a popular phrase for it to show up on so many tattoo business cards. 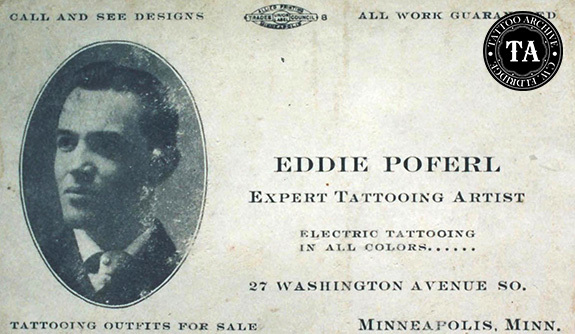 Interested in learning more about the history of tattoo business cards? 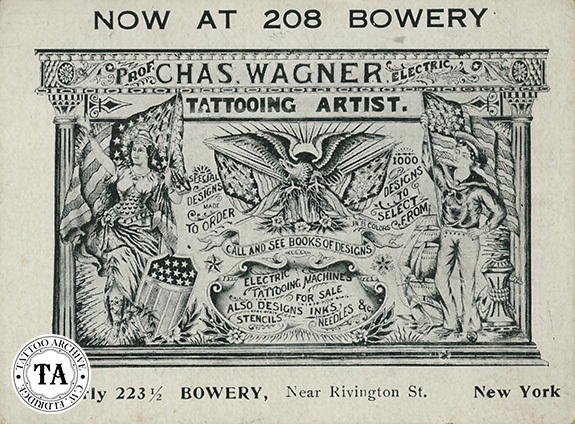 Check of the publication Historical Tattoo Business Cards in our online store.